This is the first reported case of a patient taking imatinib (Gleevec), which is used to treat certain cancers, who developed liver toxicity, apparently related to taking ginseng. A 26-year-old man with chronic myelogenous leukemia was taking imatinib 400 mg daily for 7 years with no complications. 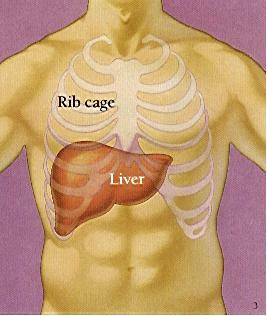 He then went to his doctor complaining of pain in his right upper quadrant (just below the ribs). 3 months ago the patient started using an energy drink that contained Panax ginseng. Results of liver enzyme tests were elevated. Results from a liver biopsy suggested a drug-induced cause. 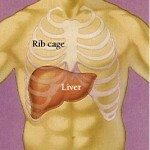 A diagnosis of imatinib-induced liver toxicity was made. Both imatinib and ginseng were discontinued. The patient was treated with a short course of corticosteroids. Imatinib was later restarted at the same dose, and liver enzyme levels remained normal. Imatinib-associated liver toxicity usually appears within 1 to 2 years of starting treatment. Ginseng is an herb not known to be toxic to the liver. However, it is known to inhibit the CYP3A4 liver enzyme, which is the primary enzyme in the metabolism of imatinib. It’s another question to ask patients who are starting treatment with imatinib. This entry was posted on Monday, April 5th, 2010 at 4:01 PM	and is filed under A. ALTERNATIVE MEDICAL SYSTEMS, Cancer, Ginseng, Liver Disease. You can follow any responses to this entry through the RSS 2.0 feed. You can leave a response, or trackback from your own site.